Want to know the trick to having the perfectly green and luscious lawn you’ve been waiting for? It’s not more watering or fertilizing, and it’s not about the mowing. The trick is to install artificial grass! 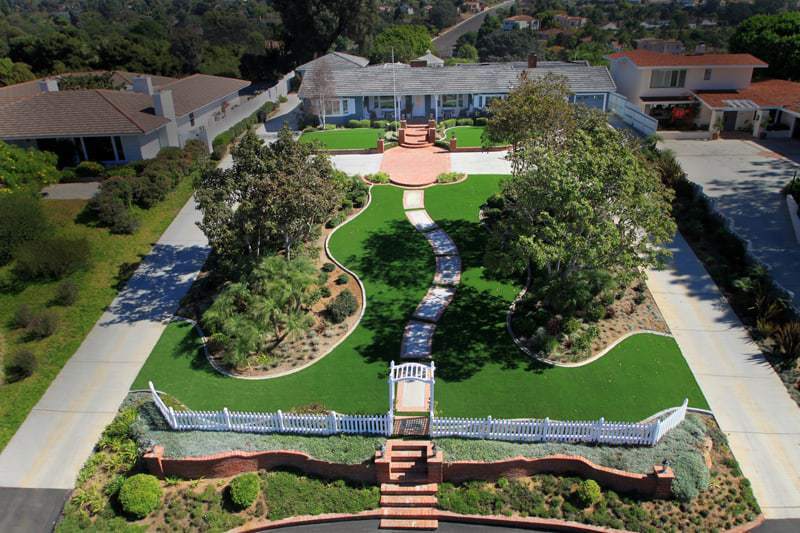 Here at San Diego Home Turf, we offer synthetic turf products that are realistic and bound to make your neighbors jealous. But we all know, looks aren’t everything. Here are five benefits of artificial grass. We are proud to offer over 20 synthetic grass products that vary in size and color to fit your needs. Each product is made to be extremely durable and will require a lot of activity before it begins to flatten. Even so, the synthetic turf fibers will stand upright again after the artificial turf has been brushed or raked. Additionally, our products are made to never fade or change, so any product you choose for your installation will always be the same color and size after years of use. Artificial grass is hypoallergenic and is guaranteed to eliminate mud and other contaminants. 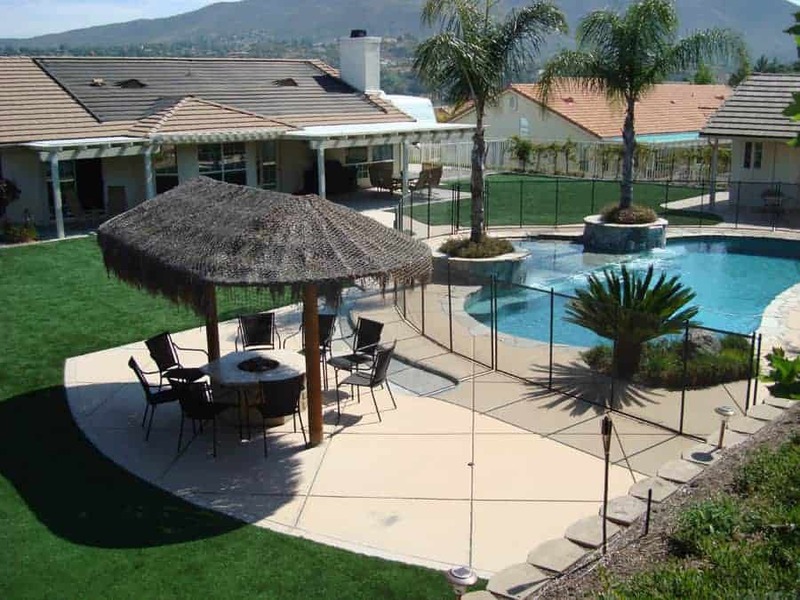 The drainage system implemented in each of our synthetic lawns allow pool water, spillage, pet urine, or the San Diego rain to flow straight through and prevent flooding or puddles. With over 20 artificial grass products readily available for installation, there is a product for every type of project, including but not limited to residential, commercial, putting greens, playground, or pet turf. All of our products are non-toxic, lead-free, and environmentally-friendly, making it the ideal landscape alternative anywhere. The most maintenance that an artificial lawn requires is picking up your dog’s waste, rinsing it off, and maybe spraying it with our organic, bio-degradable and non-toxic freshener. Seems easy right? Artificial grass requires no fertilizers, mowing, or watering, which means you are going to save a lot of time and money in the long run. 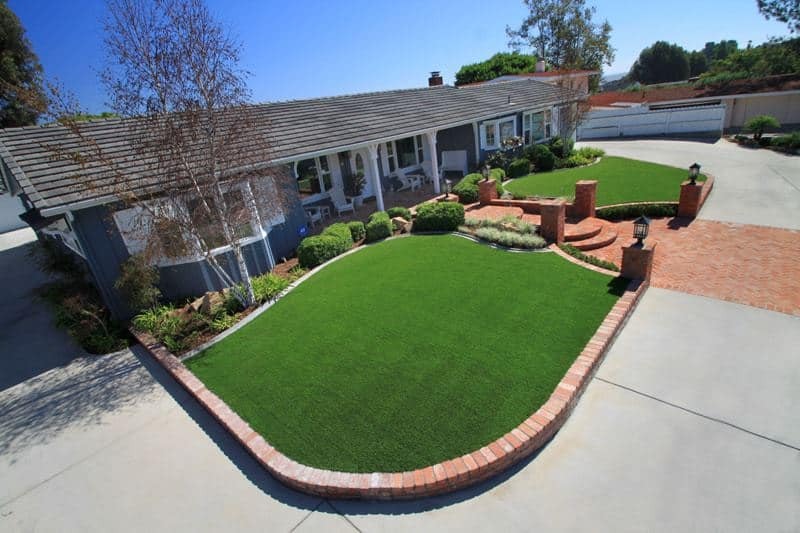 Any potential buyer looking for a home in San Diego is going to love the curb appeal of an artificial grass front lawn. A finished yard that is low-maintenance and always aesthetically pleasing? Sounds irresistible. Ready to make the best landscape investment of your life? 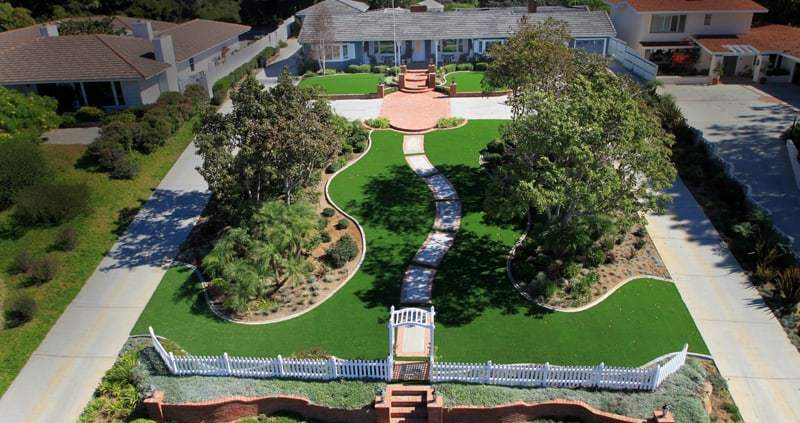 Choose San Diego’s premier installer of artificial turf for your project! Give us a call today at (619) 467-7784 and let’s get started on your free estimate.